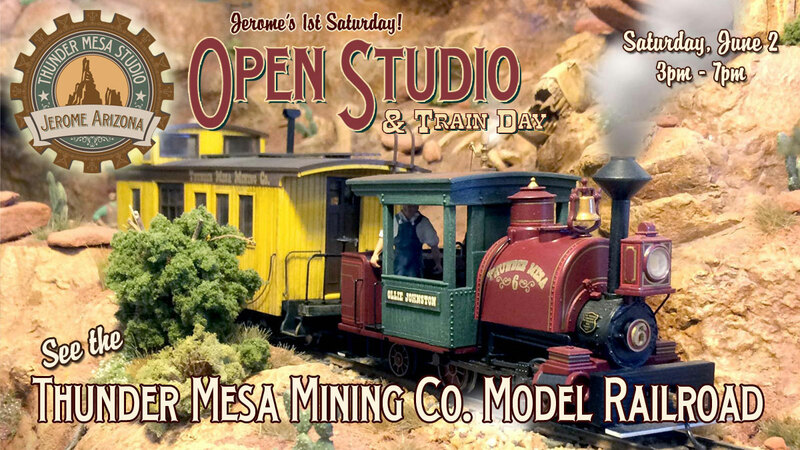 Kick off the summer season at Thunder Mesa Studio on Jerome’s 1st Saturday! 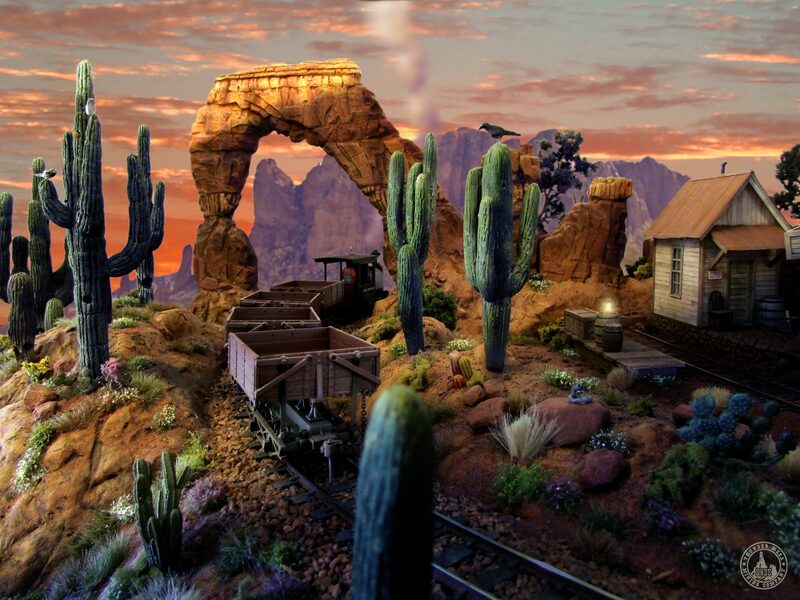 See the Thunder Mesa Mining Company Model Railroad, an operating 1/4″ scale narrow gauge display featuring spectacular scenery, lights, animation, and sound. Meet local artist D.L. Meek and see what’s new on his drawing board. Stick around after 5pm for the 1st Saturday Jerome Art Walk. Click here for more info! 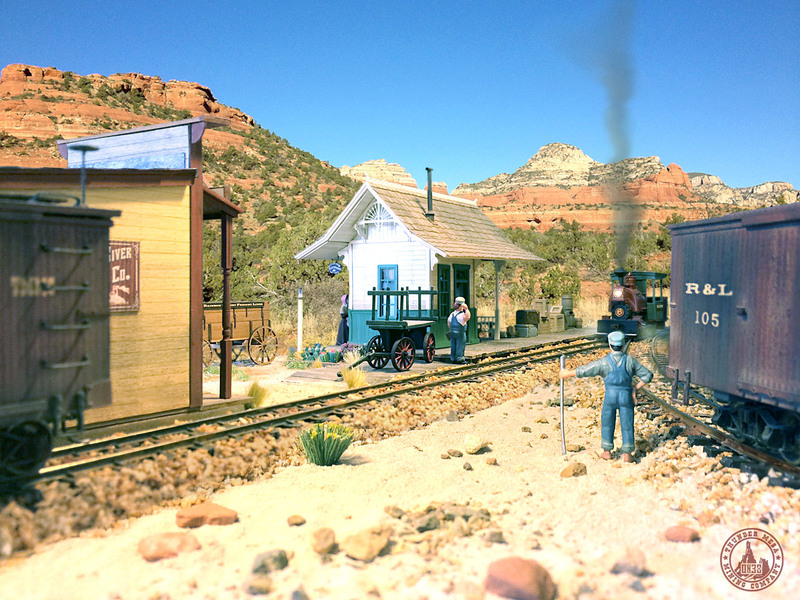 Free parking at the venue and free shuttle bus service to and from downtown Jerome from 5pm to 8pm.